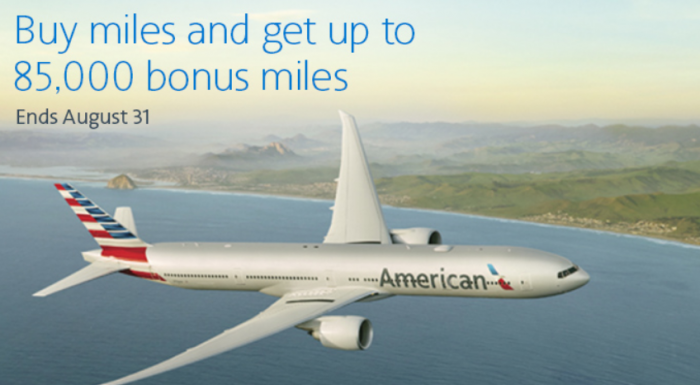 American Airlines has launched new buy & gift AAdvantage campaign with up to 85,000 bonus miles and 10% discount for purchases through August 31, 2018. The price of a mile purchased under this offer at the 150,000 miles level with 85,000 bonus and 10% off is 1.84 cents each. The price under this offer is higher than the last sale price that was the lowest that AA has sold its miles for the past couple of years. You can probably save a bit if you wait for the better offer to surface in the future. Next articleReader Question: Qualifying For SPG Platinum Status By 25 Stays In 2018?